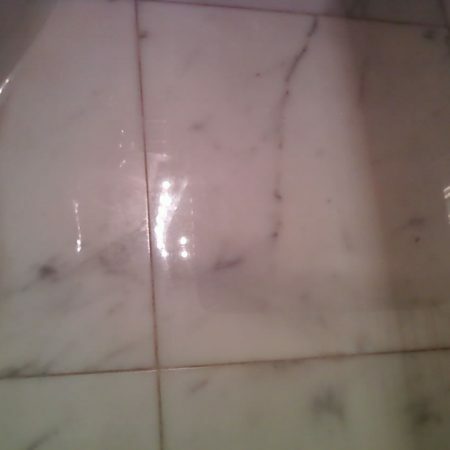 Etching is the white/light dull spots you can find on marble surfaces, which are hard to get rid of and are very unpleasant. Such spots may be caused by acidic or alkaline liquids left on the surfaces. By the other words, it’s a chemical burns. 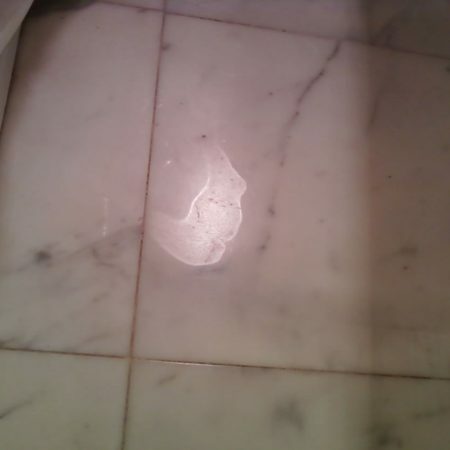 Those spots can be in different shapes like in the shape of a spill, spray pattern (caused by spraying the wrong cleaner), drops or glass-rings. They can be deep or not deep. 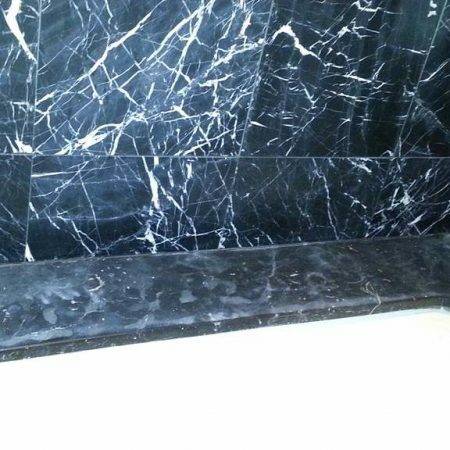 It most commonly happens with marble, travertine, limestone, onyx and other calcite-based stones. 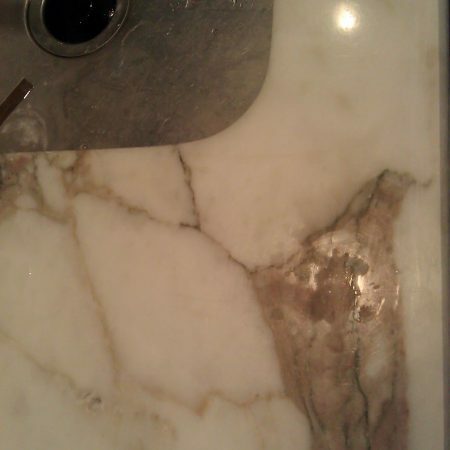 Sometimes hard water can leave salt spots in form of white crystal powder, that may looks like etching but it is not. 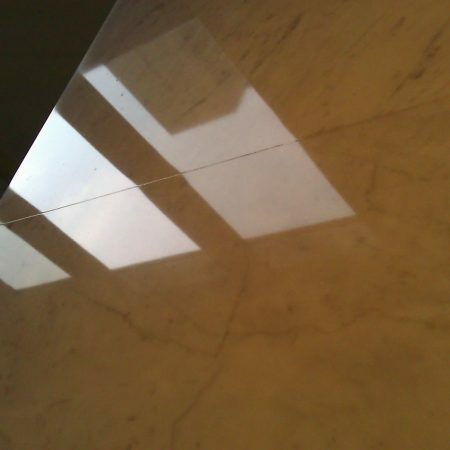 Etching may change the texture of marble surface to dull, non-uniform appearance. 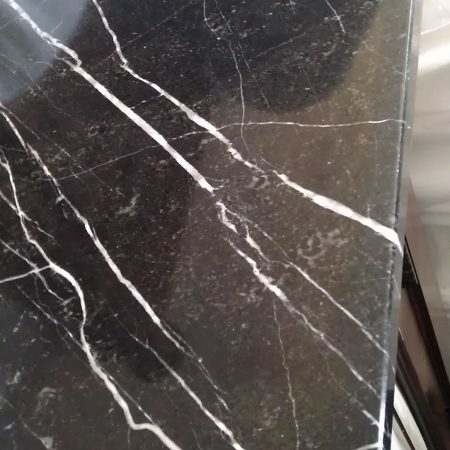 In some cases when marble contacting with strong, like industrial acidic chemicals, the marble can be burned and melted to rough surface and even destroyed to sand-like particles. 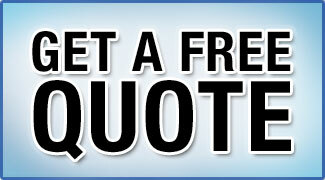 – most general household cleaners. 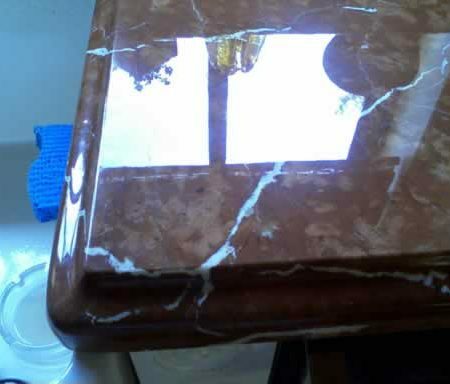 Some liquids will only etch your marble while others will do the both etch and stain. 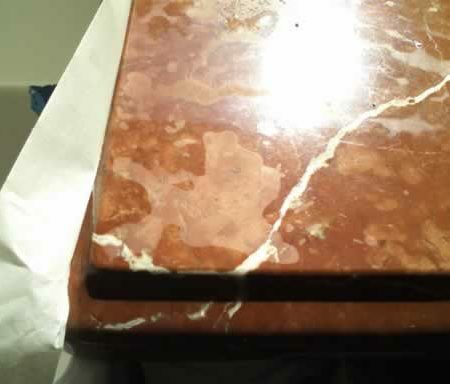 In such case, if your marble has both etches and stains, for restoration you will need to perform two different procedures, known as refinishing and applying poultice. 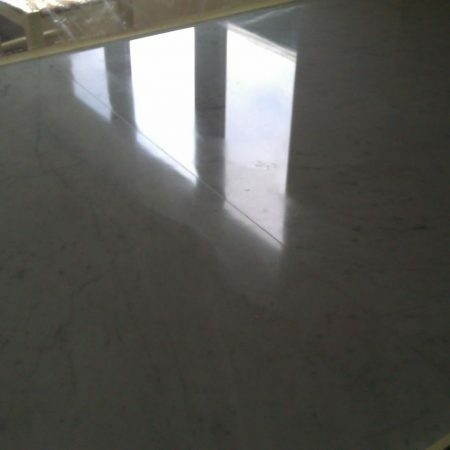 The granite is igneous rock and not calcite-based stone and typically will not etch. 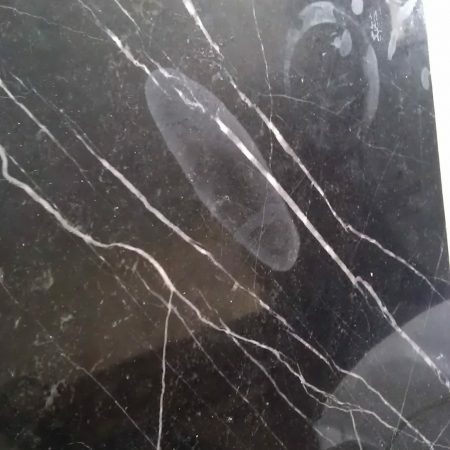 If the etchings appeared on your granite, that’s mean you granite more likely is “doctored”. 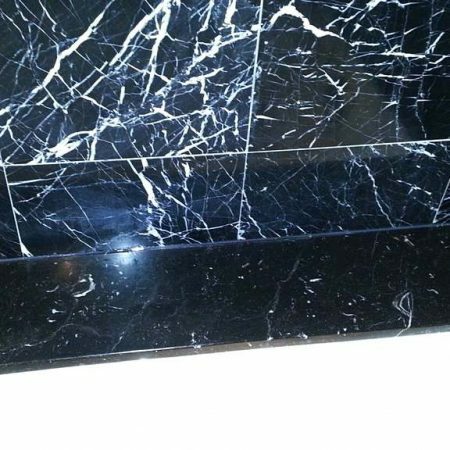 “Doctoring” granite is a method of artificial dyeing granite by applying a compound to the surface and “baking” in an oven with high temperature to fuse compound, for the only purpose of enriching color and raising its price. The etches can happen on that coat and not on granite itself. 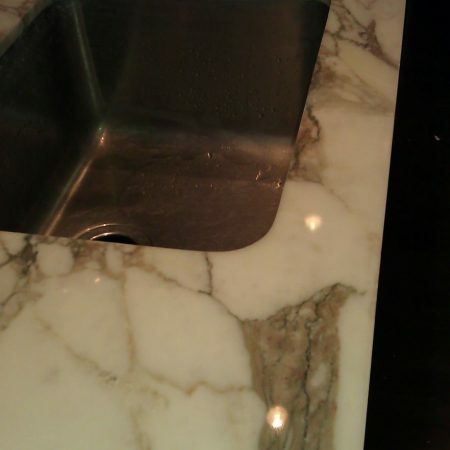 Unlike etches on marble, etches on doctored granite cannot be easily removed or polished. The etch was sanded down and buffed with tin oxide powder to smooth shine finish.